How Much Do Prepayments Actually Save On A Mortgage? 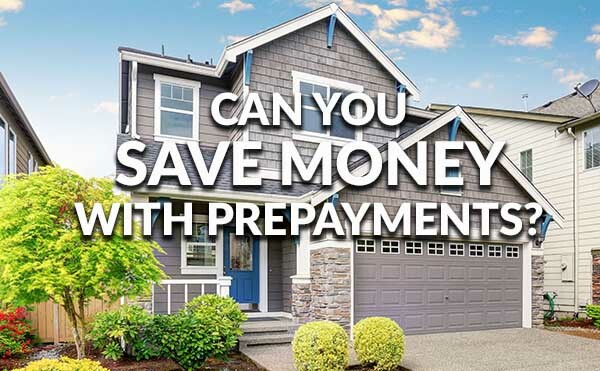 How Will Prepayments Save Me Mortgage Money? Question: We have finally reached a point where we have a few extra dollars each month. Does it make sense to begin a program where we use the money to prepay our loan, especially now that mortgage rates are so low? Answer: Most mortgage loan programs today welcome prepayments. Conforming loans which meet Fannie Mae and Freddie Mac standards as well as FHA and VA financing do not have prepayment penalties. The real question is whether prepayments make sense. Some argue that you might do better putting the money into stocks and bonds, but those are investments where you can lose principal. Another idea is that it’s best to pay off high-cost credit card debt before paying down a lower-cost mortgage. This is particularly smart if credit card balances do not balloon again. What happens when you make a prepayment depends on the type of loan you have and the size of the prepayment. 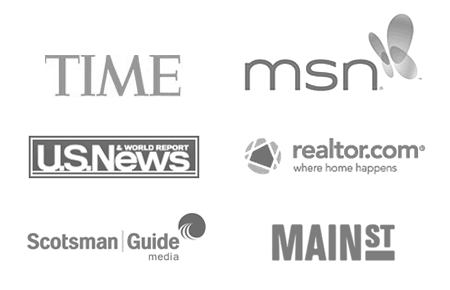 Click to see today’s refinance rates. Let’s say you have a fixed-rate $200,000 mortgage at 4.25 percent. The monthly payment for principal and interest is $983.88 over 30 years. Add an additional $100 a month and the loan will be repaid in 300 months instead of 360. The total interest cost of the loan will fall from $154,197 to $125,044. Notice that the total interest cost for the mortgage declines by a little more than $29,000. However, the monthly payment stays the same. Since the homeowner is unlikely to hold the loan for 300 months (25 years), the benefit will come when the home is sold or the mortgage is refinanced because the homeowner will owe less to the lender. The result will be a bigger check at closing for a sale and less to refinance with a replacement mortgage. With an ARM we can use prepayments to reduce the size of the debt. This will be important if the home is sold or refinanced because, again, less money will be owed to the lender. However, if we make ARM prepayments it’s possible that the monthly cost for principal and interest can decline, remain the same or even go up. Huh? How can the ARM monthly payment increase? The answer is that after the start period ends, the interest rate for an ARM can change. With extra payments of $100 a month, you might owe $148,800 instead of $150,000 after a year. If the interest rate goes from 4.25 percent to 5.3 percent, your monthly payment can go up even though you owe less. This is because the interest rate is higher, plus the remaining time to pay off the debt is smaller. One of the more interesting prepayment options for mortgages is a curtailment, or an extra payment you make on your mortgage to reduce the size of the loan. Let’s say you get $20,000 from an inheritance, stock sale, bonus, etc. You then call your lender and ask what happens if you make a $20,000 curtailment (and use that term), maybe going from $160,000 in debt to $140,000. You might find that with a fixed-rate mortgage and a curtailment that the loan balance will decline AND the lender will agree to reduce the monthly payment. But what about an adjustable-rate mortgage? With a curtailment you can soften future ARM rate increases because less is owed. You could even end up lowering your payments, depending on how rates move. Lenders will not do curtailments automatically, so you need to speak with the loan servicer to find out exactly how their curtailments work. You also want full contact information from the lender’s representative – name, direct number, title, etc. It may take a month or two before the new monthly payment appears on your payment form, depending on when you send the money. For details and specifics, speak with your lender and see how they will handle a curtailment. Most will be elated to get your money, cash they can instantly re-lend.